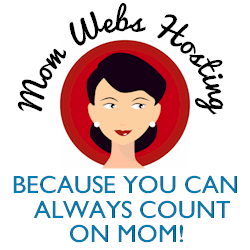 You are here: Home / Entertainment / Toys / My Little Pony – a sweet gift for Valentine’s! For Valentine’s Day, my kids get enough candy at school and from friends, but I try to get them a little something sweet, too. Nothing big, just a small token of affection like a mylar balloon or a My Little Pony figure. Maura is more of a My Little Pony fan than Maya. It all started with the adorable My Little Pony: So Soft Sleep & Twinkle Starsong which she still has, by the way, more than 2 years later! She loves to line them up along her windowsill and comb their long, colorful manes. Rainbow Dash is her favorite! While the little mouse went ’round and ’round on the carousel! I’m very happy with this toy, as are both my daughters! 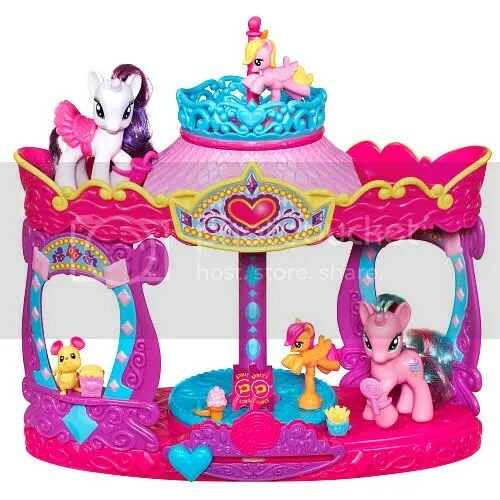 Best for kids 3 years and up (because of the small parts), My Little Pony: Rarity’s Carousel Boutique sells for $29.99. It includes 2 “AA” batteries so it can be played with right out of the box. Let me tell you – this past Christmas was the first I year I had ever purchased anything directly from Hasbro, and I was so incredibly happy with their prices and fast shipping. The Hasbro Toy Shop kicked Toys ‘R’ Us to the curb! Disclosure: Hasbro provided me with the product sample pictured above to facilitate my review. All opinions are my own.